One of the biggest surprises this year has been Alcatel. That’s not an understatement because they can be given credit for starting this whole focus on the “premium” mid-range market with the introduction of its Alcatel Onetouch Idol 3 5.5-inch back in May, showing us exactly what budget-conscious devices are capable of delivering. 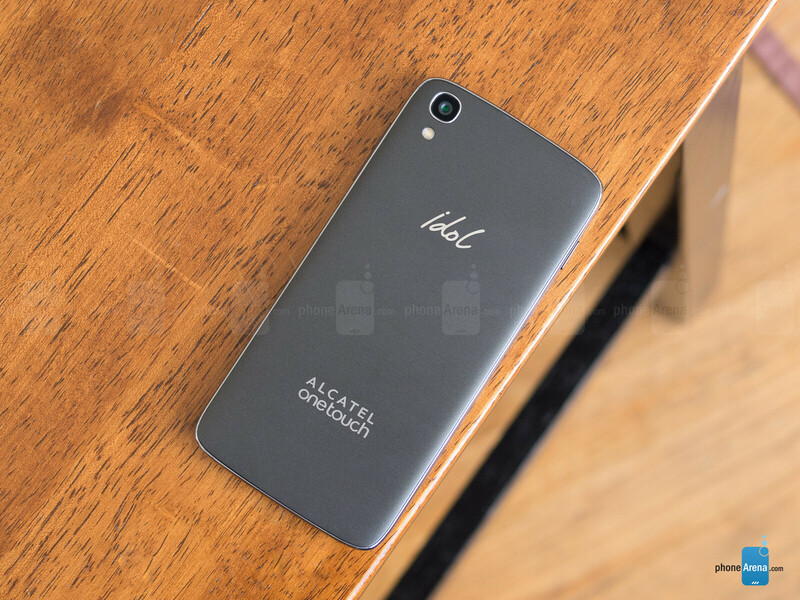 Taking nearly everything about what that particular smartphone has to offer, and repackaging it in a significantly smaller chassis, what we have now is the Alcatel Onetouch Idol 3 4.7-inch – a smartphone that’s sure to pique interest with its hard-to-overlook $180 outright cost. Compact and sleek, its diminutive size is so refreshing in an age of phablets. There’s really nothing really new with its design that we didn’t get otherwise with its larger-sized sibling, other than the obvious fact that they’ve just shrunken its size down tremendously to make it incredibly compact. And that’s what’s so great about its design, since it feels like the perfect size in our hand – allowing us to comfortably stretch our thumb to reach all four corners of its display. Best of all, it’s decently constructed with its plastic matte finished chassis, and it’s remarkably lightweight at 110g. Just like before, it features all the same ports and buttons found on the 5.5-inch version – so that includes its volume controls on its right edge, microUSB port and mic on the bottom, 3.5mm headphone jack and noise cancelling mic on the top, and the power button and combinational microSD/microSIM slot on the left. Thankfully, it too retains the same pair of front-firing JBL Audio by Harman speakers. Mesmerizing to the eye, its rich colors and potent glow makes us think it’s an AMOLED we’re dealing with here. 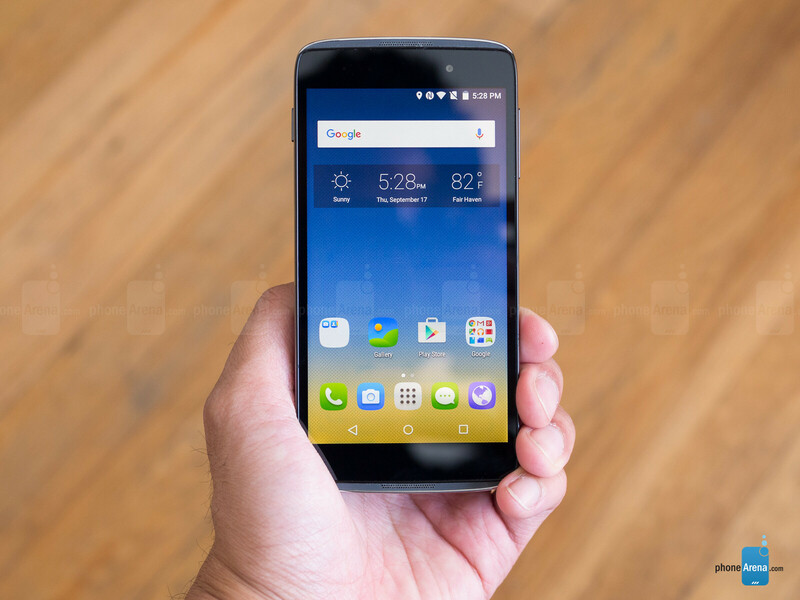 The Alcatel Onetouch Idol 3 4.7-inch is fashioned with a 4.7-inch 720 x 1280 IPS LCD display that leverages the same Technicolor Color Enhance Technology to give it a potent, iridescent glow. And that’s arguably one of its highlight characteristics, just because it behaves similarly to AMOLED screens in the process – so that means getting that deep black color, superb viewing angles, and saturated colors. The screen by and large dishes up the same respectable qualities from before, but when it comes to color accuracy, it wouldn’t be classified as perfect. Rather, it has a colder toned ~7300K color temperature, gamma value of 2.14, and colors that are a bit overblown under the sRGB color spectrum chart. The colors of magenta, in particular, show more deviance as they’re influenced by the color blue. Regardless of that, the end result can’t be overlooked, as it produces a potent 606-nit luminance that enables us to view it in all sorts of lighting conditions. The best part about it all, the display just bears this mesmerizing glow that catches our attention the moment we look at it. 8 rating? Deserves 7.5 if you tell me. I have lost my faith in P.A's ratings. I just think if they rate phones based one price range, then they should have separate rating scales. 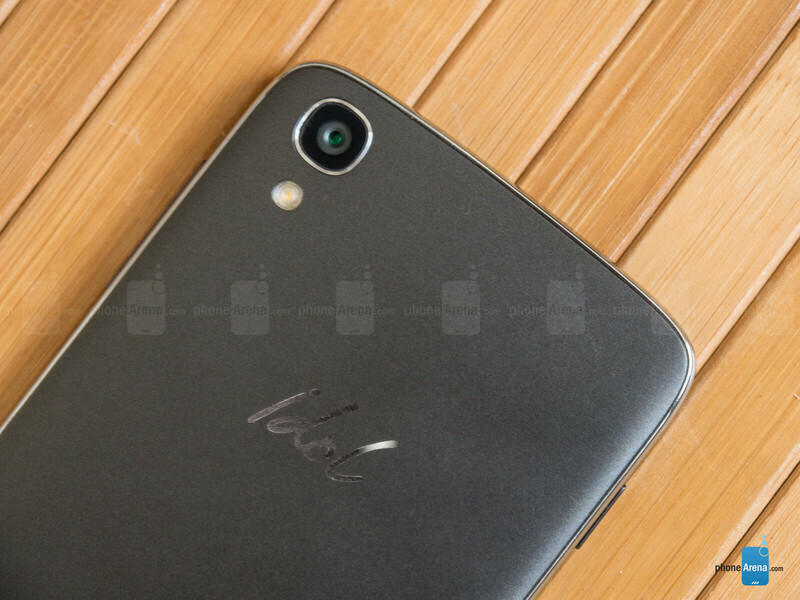 Honor 7 will be epic, I have tried Honor 6 and it's an absolute beast for it's price. I really wish that they had given this the same (or similar) internals that they did for the 5.5 inch model. That would have struck me as a great device, at a great price, in a form factor that's a little more palatable. Damn alcaltel is blowing it outta the park on screen brightness. This thing is clearly better than the Meizu MX5 and/or the Oneplus 2 in what all three try to achieve - be a BETTER alternative to established brands. This phone is better in key metrics against the Moto G (by price.) The "budget flagships" (Meizu, Oneplus, that Phonearena demolished) do absolutely NOTHING better than established flagships (Clearly the S6 is the SUPERIOR flagship, and the price gap is justified.) Why can't you accept the truth? Thin and light body with good battery life. That's what I'm talking about. So I'd say people should stop complain about a phone is too thin. And as always Motorola phone is uselessly bulky and heavy..
the iPhone 6s will get a 10 for sure. There are a couple of errors in the review: 1. The 16GB model does not have an SD card slot. It can hold dual SIM instead. 2. The MOTO G 2015 that you compared to in the review is the 2GB RAM model, and costs $220, and not $180, as you mention. 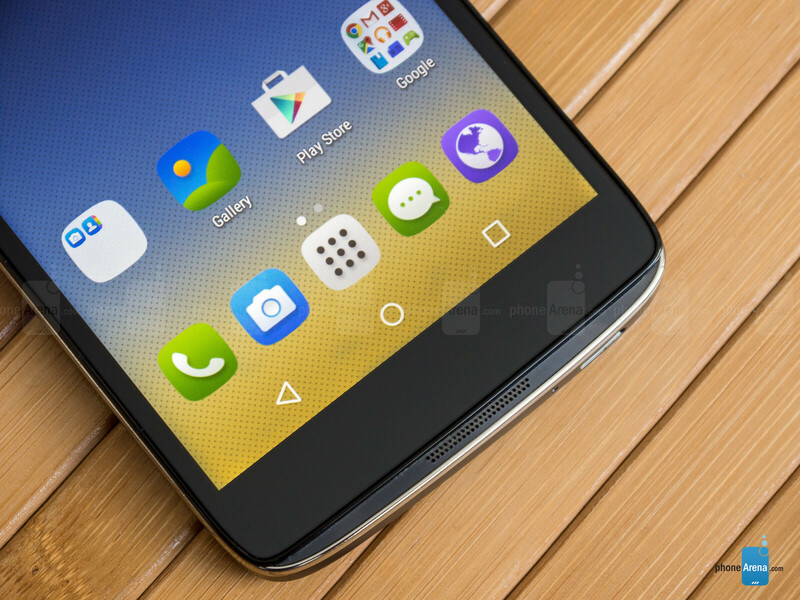 Alcatel designed a totally enjoyable phone at an entry level price. According to alcatel's website it can support up to 32 gb micro sd card expansion.